Home » OS » Android » How to sell your old Android device? If you want to sell your old Android device and get a new one, you could get some helpful tips through this post. We all know that times are changing and how! Everyday we have new releases, updates, and everyone wants to remain in touch with the best available technology. Why would somebody want to be seen as outdated? Much more than anything, keeping up with the times is seen as status symbol. But this status symbol is difficult to maintain for the prime reason that, new things are not cheap. That does not stop us from lusting after the latest iPhone or the new Galaxy device, does it? So what is the way out? One thing that can be done is to sell your old Android device for the maximum possible amount and then getting a new one would be an easy way because you have the possibility to cover most of the costs of the new device. Here a question must be lurking in your mind, How could I sell my device for the maximum cost? Rest assured, it is not an easy task. But it’s one that surely pays! Before putting it up for sale, here are a few steps to ensure that your old Android device seems in good shape and tempting! Following tips would help you to keep your Android device clean and healthy to sell! Your Android device would be containing some personal data & pictures and these should be kept private. Delete all the apps which you downloaded! If you inserted a memory card, get rid of it! Delete all the notes you made, everything that you changed. Restore the factory settings so it’s as good as new. It’s an electronic device which you have been using for quite some time, so some amount of wear and tear is perfectly understandable. But please give your device a wipe down (Not with a wet cloth, but a soft muslin one), clean all the slots and make it nice and shiny. After this, click some high-resolution pictures of your android device and please do not photoshop it, try to cover the defects. The buyer will actually be impressed with your transparency. Please include all the original accessories that came along with the device, right from the charger to the USB cables and even the cover, if there was one. These things help to increase the cost of the device. If possible, try to sell the device in the same box that it came in! Make sure that your phone is unlocked and all codes have been removed. The new buyer wouldn’t particularly like it if they cannot access the images or contacts. Also, do not keep the option of keeping it SIM locked, sure the buyer can get it unlocked himself but if you keep it unlocked, it saves the potential customer the trouble of getting it unlocked and adds value to your device. Now that your device is boxed up and ready to impress the new customer, go ahead and sell it! Here are a few options and some safe practices to sell your old Android device. One of the easiest, though not necessarily the most beneficial way of selling your phone would be going to your carrier and asking them to sell your phone for you. The drawback of this is obvious, you will not get much benefit from it, but it saves you the hassle of searching for a customer or putting up ads. If you do not want to use your own brand trade in, you could use Amazon. It is one of the best sites for you to trade in for your phone, the only negative thing being that you do not get paid in cash but in the card which can be exchanged for something among the million things on Amazon, so you could buy your new Android device on Amazon itself. Gazelle is a third party seller that specializes in selling and buying old electronics. Gazelle pays for your shipping charges and everything but puts up your device for sale only after confirming its quality beforehand and it has the option of payment over Paypal, cheque or Amazon gift card. It offers a $10 bonus if your device is priced over $50. eBay promises you the widest audience ever for your device, although there are a few hassles such as those of shipping involved rest all is taken care of. One thing that you have to keep in mind is that you have to be honest about the condition of your device, be careful about the mode of payment and take all the precautions that you generally keep in mind while online shopping. You will have to keep extremely competitive pricing, only if your device bound to grab eyeball of people who are looking to buy the Android device which you’re selling. Swappa is a dedicated mobile device marketplace with strong quality assurance on a device sold. They’ll do a check to make sure there isn’t an outstanding balance on the device. They charge the buyers for their services and you might not get access to a very large audience. Prices are decent and you will have to compromise accordingly. People you meet every day and your colleagues might be looking to upgrade their device but not go for something exorbitant. They might be on the lookout for a second-hand device, and yours might be perfect for them! Also, it saves the hassle of shipping and haggling over the cost. To make sure that everyone in your circles are aware of the fact that you are willing to sell your Android device, put up posters at your workplace (with permission), make use of social networking sites and casually mentions it over dinners and get together, and hopefully you might find a good buyer among yourselves! 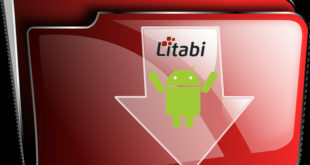 Have you found some useful information to sell your old Android device to get the new one? Do share your views through comments! You have mentioned some good tips. I forgot to delete all the data on my old device when I sold it. Realized the mistake and used android device manager to delete the data.